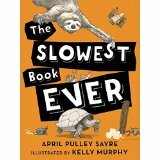 A lovely, useful work to help acquaint children with the natural world, and an enriching selection for storytime. 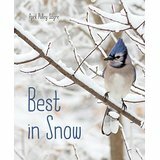 A splendid marriage of poetry and photography, consider for all nature-related collections. Visually stunning, this book is great for independent and small group browsing. While there are a multitude of books about leaves and autumn, this one is a standout for its elegance, simplicity, and gorgeous photography—perfect for sharing with the youngest learners. A fine introductory and informational book that would be equally at home in picture book and nonfiction collections. Pair this commendable companion to Sayre's Raindrops Roll with Jacqueline Briggs Martin's Snowflake Bentley as the seasons change and winter approaches. Students will love picking up and carrying this volume around to read and think about in free moments; a great addition for most libraries. Lovely and exciting, this title is a great hook for young researchers, as well as fledgling ornithologists.